Ascenders Technologies attended the 14th edition of Bangalore IT Biz which was inaugrated by Dr.A.P.J. Abdul Kalam, Former President of India and other dignitaries like Shri Sadananda Gowda, Chief Minister of Karnataka, Mr. R. Chandrashekhar, I.A.S. Secretary, Department of IT, Ministry of Communications & Information Technology, Government of India, Mr. S. Gopalakrishnan, Executive Co-Chairman, Infosys Ltd. & Chairman, Vision Group on IT. 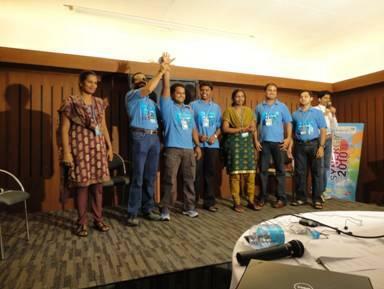 The 14th edition of Bangalore IT.biz offered three power packed days of knowledge and networking. The event attracted many ICT industry majors. The participants included over 110 exhibitors AND 900 plus delegates and 600 plus companies along with states like Rajasthan and Bihar the latest states to foray into the IT sector. The conferences and seminars focused on Innovative solutions offered by ICT and hardware industry in, Urban living, Animation and Gaming, National GIS, Green Technology, Skill development, Cloud Computing, MSMEs, Aadhaar, the ambitious project of UID, and Workshops on Electronics Systems Design and Manufacturing were also organized. 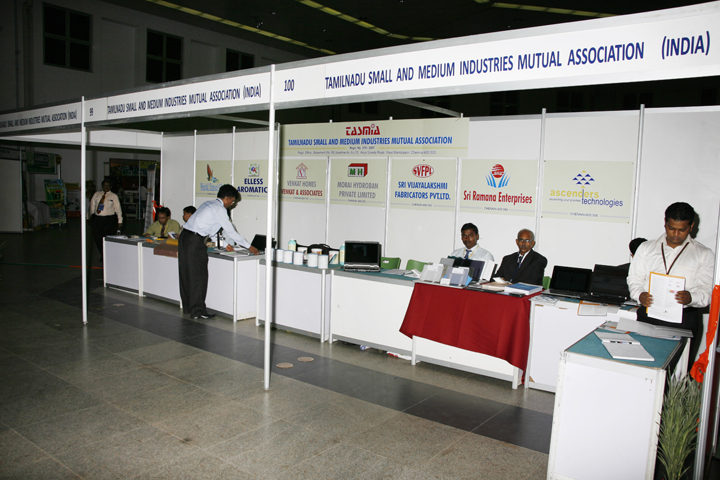 AscendersTech put up a stall in the STPI pavilion and showcased our Dynamics Axapta and CRM Products and Services. One of the Lucky Draw winners @ the AscendersTech stall! The Innovator’s Gallery consisted of that one single window opportunity to touch base with new developments and interact with the best in the industry. The exhibition spread over six pavilions was a sure indicator of the shape of things to come. An exclusive B2B platform was set up for promoting partnerships and forge alliances with leading players in domestic and international markets. Three years have quickly flown by and this is the time to sit back and take stock of our achievements and our failures. Our achievements are plenty; we have, primarily, established “AscendersTech” which is no small achievement. We have decided that if growth is what we are aiming for, then change will definitely be a way of life at AscendersTech and we are game for change. To facilitate growth, we appreciate the need for a more self disciplined, orderly and professional attitude when it comes to the work place. We understand that the right attitude and the right perspective will go a long way in building Brand Ascenders. And this is what our ongoing theme for the New Year will be: creating Brand Ascenders. Last year we made a mention of a byline that spoke about ‘the fittest’ and ‘the ascent to survival’; this year proves that yes, Team Ascenders is rightfully comprised of only the fittest and truly they have ascended in every sense. We salute those who chose to ride the rollercoaster with us and have only got down excited and wanting some more. The last year has seen a much better and fine tuned process orientation and integration within the AscendersTech system. Our ISO 9001:2008 certification has kept us in good stead as each and every Ascender, I am proud to state, has become a vigilant process owner. Our customers too, have experienced the well planned and organized efforts placed into their projects by seeing first hand our efficient utilization of time, technological know-how and resources. We are still respectfully and actively associated with Nimbus Partners, UK, Redington (India) Limited, SUN, IBM, NASSCOM, ERA, ESC, Tasmia, Microsoft, and TIE. We have achieved the Microsoft Gold Partner status last year and we will soon, on the strength of our sales transactions, become preferred partners to Microsoft. 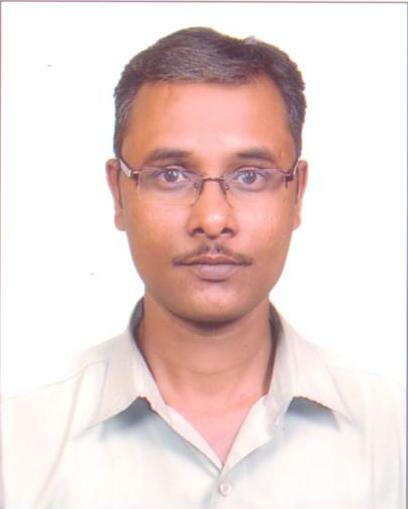 As regards ERA, AscendersTech is proud to share the exciting news that Our CEO, Dr Thiru, has been elected as the Honorary Treasurer for the Executive Council (EC) in ERA at the PAN India level for the year 2011-12. The Executive Recruiters Association (ERA) represents the executive recruitment firms of India. It establishes professional and ethical standards for its members and provides information to the media and public in the field of Executive Recruitment which is a specialized profession that helps organizations identify, evaluate and recruit executives at various levels. AscendersTech has been an ERA member all these years and has also, more significantly, been actively involved with ERA. 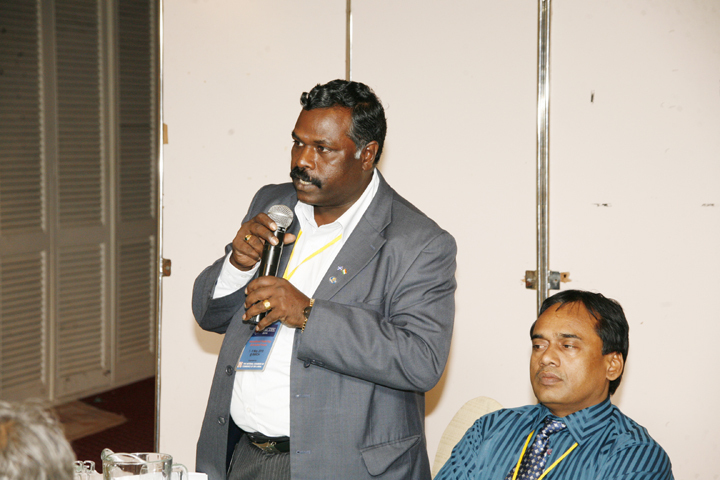 In the year 2009-10, our CEO, Dr. Thiru had held the position of Co-Convenor of the ERA Chennai Chapter. 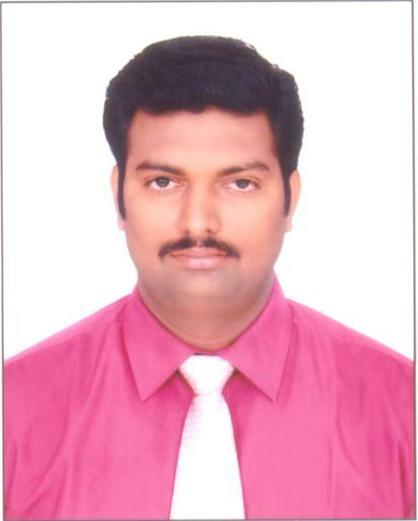 He has been holding the position of Convenor for the ERA Chennai Chapter during the year 2010-11. The annual elections for ERA (Executive Recruiters’ Association) have finally put an end to all the speculation regarding the new pillars of the Association for the coming financial year. And we have very proudly announced to the world that Our CEO, Dr. Thiru, has been elected as the Honorary Treasurer for the Executive Council of ERA for 2011-12, needless to say, because of his dedicated and tireless efforts to raise the bar of “ethics & integrity” and above all, ensuring that his efforts manifest in concrete benefits to all ERA members and the recruiting community, at large. As far as our own HRO (Human Resources Outsourcing) Division is concerned, we have a large team of professional recruiters doing their job with the enthusiasm and gusto of youngsters playing contact sports! Our clientele has increased considerably and the requirements coming with them are getting larger and more complicated by the day. This keeps our HRO division totally occupied. Speed and smart work are the watchwords of their division and as professionals they aim for big numbers every day. In the Technology section, we have grown highly focused over the years and this has been communicated to our customers in no uncertain terms. We are armed with a fortified resource pool of Microsoft Dynamics Axapta certified professionals. Most of these uniquely endowed youngsters have been deployed at various customer locations tending to the customer pain areas and providing relief in terms of instantaneous and effective solutions. As qualified and experienced Dynamics Axapta resources are scarce, it has become a policy at AscendersTech to breed talent in house. We hope to continue in our mission to dominate the Dynamics Axapta market, not only in terms of talented and certified resources but also in terms of exceptionally smart technological consulting and solution building. Brand Ascenders is now slowly and steadily being sought out from many other established Microsoft partners as the partner who really partners in every sense. It is interesting to note that we had actually started off as a Technology Company but had, along the way, diversified by entering the staffing sector. Staffing as a division is doing very well but there had always been a yearning to do the things we had actually set out to do. The last year has been very satisfying in the sense that we have been doing just that. Our Technology division is growing in leaps and bounds. This is perhaps because we have opened our eyes to becoming a sales driven organization. So now we can boast of having a HRO division, a Technology division and a Sales division vying with each other to outdo the other. There is camaraderie in the air and the competition, though fierce, is friendly. Kudos to the young leaders who have created this excellent and enviable environment within the organization! That brings me to an essential objective that the company will strive for this coming year. We will strive to make AscendersTech a happier place. A happy environment will go a long way in reaching our goals. Team Ascenders, bring out your smiles and put your hearts and souls into your jobs. Open your minds to the concept of mentorship. It will do you a world of good in the long run. Enablement is other concept that we would like to practice wholeheartedly at all levels. The upcoming young leaders of AscendersTech have to be aligned to this idea and need to adapt themselves and their next-in-line to the same. Another concept that I truly believe in establishing within AscendersTech is the acceptance of Diversity and subsequently, creating the inclusive mindset. Let us focus on talent alone and see if we are capable of handling it without being blinded by other insignificant factors such as language, appearance, gender, physical impairments etc. Talent acquisition, retention and management will be the top agenda of the coming year and we expect each and every one of you to be an integral part of this exercise. Team Ascenders, we have expanded in terms of size and consequently, in terms of infrastructure too. And it looks as if this expansion will only continue in the coming months. In the course of our business expansion and all the energy spent on it, we have forgotten a crucial thing and this could be termed as a failure on our part. As a corporate entity, we have not done as much as we should have in terms of CSR activities. We need to compensate for this oversight and this year, we will make amends. In the meanwhile, as we set these goals for ourselves, let us, simultaneously gear ourselves to achieve them. Achievements are not a big thing for AscendersTech; the question still remains: are we capable of handling achievement and taking it to the next level? To do this, we must be able to envision the next level as a collective effort. Let each of us blend into one entity and exploit our individual strengths for one common cause – AscendersTech. In other words: Are you ready to be a BRAND ASCENDER? THE CUSTOMER SAYS ASCENDERSTECH IS KING! It was a lovely session in Puducherry with our leading and prestigious client namely Mahindra Resorts and Holidays India Limited. They celebrated the MHRIL IT Meet 2010 on a balmy weekend in Puducherry where they declared that the Ascenders team had been their best support in terms of the Dynamics Axapta Upgrade project success. Mr. Mahesh Manchi, the CIO of MHRIL did our DAX team the great honour of stating, amidst thunderous applause, that they were the best team who had achieved the highest success rate in MHRIL so far. Mr. Sathya, the senior manager at MHRIL awarded our DAX team with Appreciation certificates. Mahesh Manchi announcing the victory of our DAX Team! Indeed, it was a moment to cherish for the DAX team and a moment of great pride for AscendersTech for having nourished such valuable talent. We bow down in respect to our client who has demonstrated not only intelligent clarity in identifying us as their right partner but also the magnanimity to give us our due. We also applaud the untiring efforts put in by our team to have gained us this recognition is such a short period. And as MHRIL so aptly put it, AscendersTech too resounds with them: JIYO LIFE! There have been many changes at AscendersTech and we can proudly state that they all have been for the betterment of the organization. Revamps, indeed, resweeps have actually cleared the air and the cobwebs no longer haze our vision; in fact, now there is a startling clarity on the road that we had originally set out on. A restructuring change has long been required and now that is very much on the agenda. A few old faces have decided to move on and fade out, making room for newer, fresher ones. We have during the last quarter, seen the exodus of Mr. K. Raajaram, Mr. P.Vijaya Raghavan and Mr. P. Senthil Kumar in that order. We at AscendersTech understand the intrinsic nomadic instincts of the human race in general and have very graciously accepted the fact that people who have to leave have never really been joined to us in the first place. We also accept humbly that the same people who had only a short stint with the AscendersTech family were truly family while they were with us; indeed, it was their efforts and good intentions that helped bring AscendersTech to its present steady state. Each is appreciated for his timely and concentrated hard work that helped shape AscendersTech into its established corporate status. And in the same manner, we welcome the newcomers who have stepped in to fill up the gaps after their departure; there has been quite an inflow of resources in the last quarter, both experienced and inexperienced. A few newcomers have come to AscendersTech in search of a career, a secure position and professional identity; as a consequence, they have also built niches for themselves within the organization and will one day be known as the pillars of AscendersTech; and there are others who come to us seeking only shade and shelter during uncertain times. We have opened our doors to all in the hope that the relationship would turn out to be a truly and mutually beneficial one for all concerned. We, however, have to let certain resources go their own ways probably because their destinies bid them do so. We have learned that separation is essential to growth and so we courteously part ways. As with separation, there is such a thing as union. Unions have also happened in plenty and AscendersTech is expanding what with the new requirements and projects coming in. Very soon our cup will overflow and there just could be a dearth of talented resources in house. To combat this situation, AscendersTech is proactively hiring. The Sales Team currently comprising of the dynamic duo namely Suresh Kumar Radhakrishnan and Varadarajan are aggressively pushing the organization into hitherto untouched territories and the outcomes are positive. Again, we take this as the opportune moment to welcome the seriously and professionally inclined populace of the IT fraternity to be a part of the AscendersTech way of life and work. AscendersTech @ INTRAD EXPO 2010 at BMICH, Colombo, Sri Lanka. 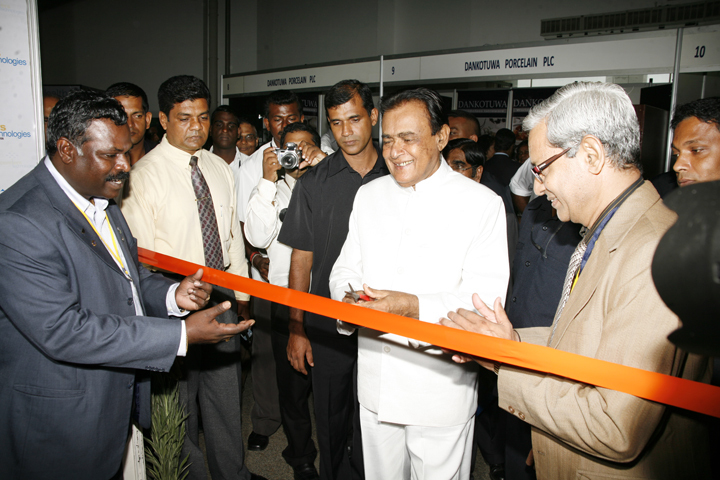 The National Chamber of Commerce of Sri Lanka in association with the Ministry of Export Development & Investment Promotion, Sri Lanka Export Development Board, Board of Investment of Sri Lanka, Department of Commerce and Sri Lanka Tea Board will hold “INTRAD – EXPO 2010” International Trade Fair & Investor Forum from 7-9 May 2010 at the BMICH, Colombo. 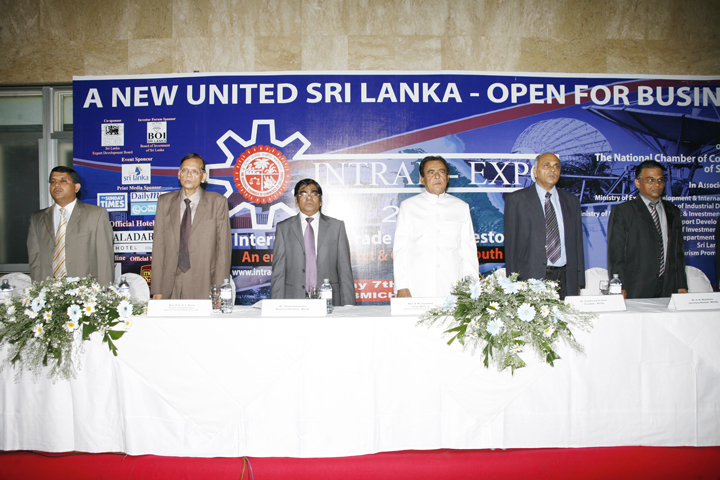 This will be the first International Trade Fair to be held under the new government. In this mega 3 day International Trade Fair and Investor Forum, Ascenders Technologies, as a Gold certified Microsoft partner and also My Adrenalin Sales and Implementation partner will showcase our products and services highlighting Microsoft Dynamics Axapta 2009 and My Adrenalin HRMS product.